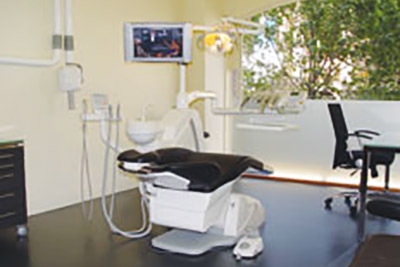 Smile Solutions prides itself on being one of Australia’s most technologically sophisticated dental clinics. We use only the latest equipment, of world-class quality. This ensures that all our clinicians and staff have at their disposal the most advanced means of delivering optimal care to our patients. 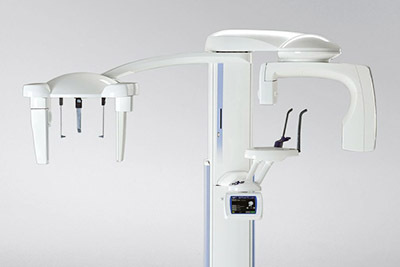 Each item of equipment used at Smile Solutions is designed to achieve a particular result. 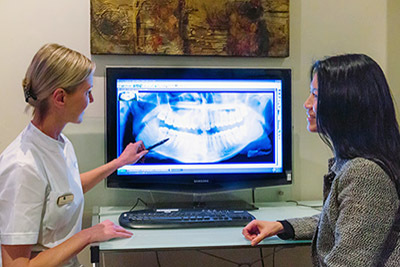 Among the most significant outcomes that we offer you as our patient are: a streamlining of your dental treatment, a beautiful smile, improved diagnosis of all dental conditions, a superior level of treatment, reduced pain and anxiety, a safeguarding of your health and wellbeing, and a fun dental experience. Here we describe the equipment enabling us to deliver those outcomes, subject to your clinician’s choice in your particular circumstances. CEREC CAD/CAM is a state-of-the-art chair-side system that enables the highly efficient manufacture and placement of all-ceramic veneers, onlays, inlays, crowns and bridges. With Cerec technology there is no need for messy impressions and weeks of waiting for a dental lab to deliver the final product. 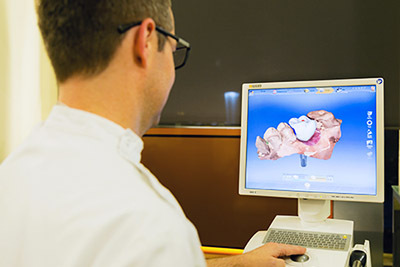 We will first scan your teeth, and then the scanned data will be transferred to our CEREC machine. While you relax and perhaps read a book or a magazine, your ceramic work will be prepared, and it will then be fitted precisely to your tooth or teeth in the one appointment. The Planmeca ProMax 3D Max generates, with limited radiation doses, the most detailed three-dimensional dental imagery available. Using the Planmeca ProMax 3D Max software, we can create an unrivalled 3D image of the highest quality, showing the smallest detail, to enable the most precise treatment planning. This innovative, versatile, safe and dynamic piece of technology is a valuable diagnostic aid for endodontics, periodontics, orthodontics, implantology, dental and maxillofacial surgery, paedodontics, and TMJ analysis. We are equipped with the Planmeca 2D two-dimensional digital imaging system, which produces the most precise, highest quality orthopantograms and lateral cephalograms. Having these available during your appointment is particularly convenient if images are needed for your treatment planning – whether for general dentistry or orthodontics. This imaging system facilitates both open- and closed-mouth image capture, and correct patient positioning is assisted by a triple laser beam. The Planmeca 2D is equipped with a ‘child mode’, which ensures the safest X-rays for your child; and with a one-shot function, the X-ray can be taken in just one image – ideal for children (and adults!) who have trouble sitting still. The result is the perfect image, every time. Smile Solutions’ in-house dental technicians work closely with our clinicians to give patients the best prosthodontic support in the shortest time. Immediate, direct communication about patients’ lab work contributes to the best possible prosthodontic outcome in each instance. For complex requirements and ceramic work, we commission Melbourne’s top dental laboratories to access the best materials and workmanship for the individual needs of each patient. 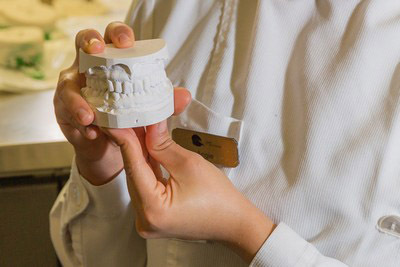 Being administered mouthfuls of impression material in the orthodontic chair to produce a mould of the teeth is a thing of the past at Smile Solutions. 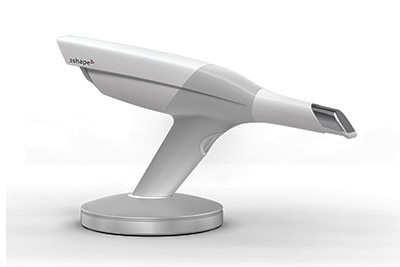 The iTero Element Intraoral scanner is a ‘chair-side’ system for creating virtual impressions of your teeth. These are then transmitted digitally to dental labs for the manufacture of orthodontic appliances (including Invisalign) and restorations. The scanner is a valuable diagnostic and treatment tool that offers speed and reliability, and enhances accuracy of records, treatment efficiency and your overall dental experience. Your iTero scan can now be transformed into a movie via ClinCheck, the latest Invisalign software. The video shows you not only how your Invisalign treatment will progress but also, with its outstanding visualising capabilities, an image of your new smile post- treatment. 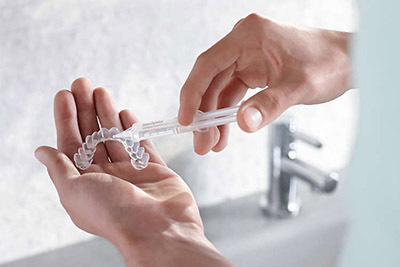 AcceleDent is a mouthpiece used in conjunction with Invisalign to reduce treatment duration by up to 50%, meaning less time in the orthodontist’s chair and straighter teeth faster. Worn for just 20 minutes per day, the mouthpiece transmits micro pulses throughout your Invisalign aligners and accelerates the movement of teeth while reducing orthodontic discomfort by up to 71%. Accelerating the treatment process can also help reduce the risk of cavities and gum inflammation. And you can use it without any interruption to your day-to-day activities. AcceleDent is approved by both the Therapeutic Goods Association (TGA) and the FDA. 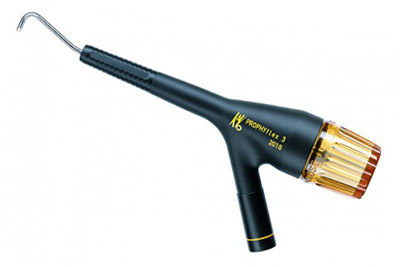 BeeFill 2in1 is the latest in root canal filling placement. Warm filling material is rapidly dispensed into the canals of the tooth, where it hardens into a dense, cohesive filling. The fluidity of the warm material allows the smallest areas of the root canal to be filled reliably, every time. This technology increases the speed of the procedure while producing a filling of the highest quality, which is essential to a good long-term prognosis for the tooth. 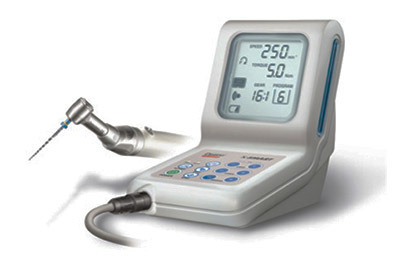 When combined with the MTwo and ProTaper rotary systems and the X-Smart Endo Motor, it ensures that your root canal treatment is of the highest quality. 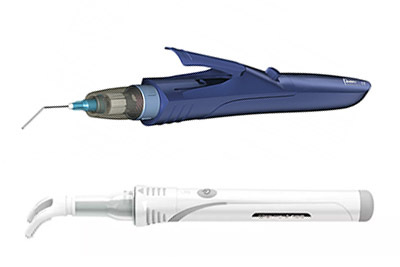 The MTwo and ProTaper Nickel-Titanium rotary systems and the Dentsply X-Smart Endodontic Motor offer the latest technology in efficient cleaning and shaping of canals during root canal treatment. Studies indicate that rotary systems generate superior outcomes and commit fewer procedural errors than traditional slower methods of stainless-steel hand filing. 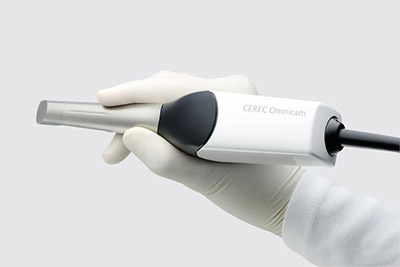 The CEREC Omnicam scanner allows for quick and accurate scans of your teeth. It captures a precise, three-dimensional image in real-life colour, doing away with the need to take messy impressions. 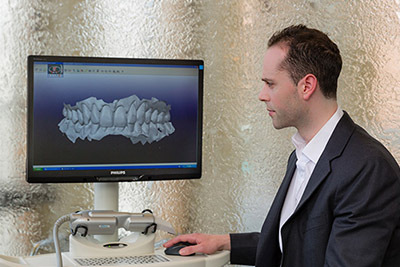 The scanner is linked directly to the CEREC machine to streamline the process of fabricating personalised prosthodontic work while you relax in the chair. The latest in scanning technology, the 3 Shape TRIOS 3 Intra-Oral Scanner enables efficient and detailed scanning of your teeth and gums. With the capacity to provide information about the shape and colour of your teeth and about your bite, the camera can be used instead of traditional impressions to relay all information required for custom-fit crowns, bridges and veneers. 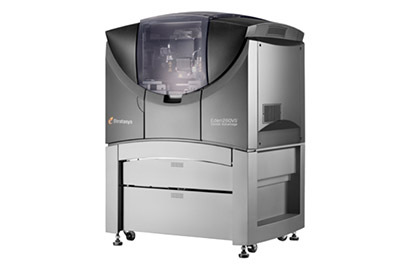 The Stratasys Objet Eden260VS 3D printer offers incredible precision in printing a variety of dental prostheses and appliances in 15 different materials. Boasting 16 micron-layer accuracy, the Objet Eden260VS is frequently used to fabricate crowns, veneers and bridges with a superior finish. 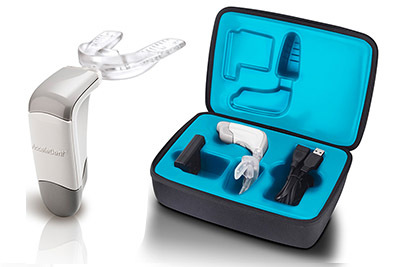 Directly linked to the Smile Solutions 3Shape Trios 3 and iTero intra-oral scanners, the printer prints directly from the raw data, greatly reducing chance for error. 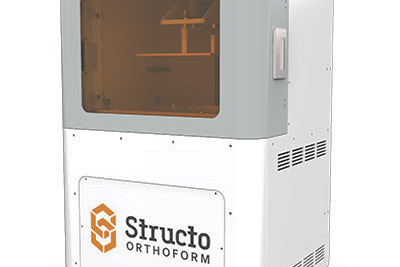 The Structo ORTHOFORM is the world’s fastest printer of accurate three-dimensional models. The printer collates information obtained during scans completed with an intra-oral scanner, obviating the need for uncomfortable impressions. It allows production of up to 300 dental models per day to facilitate the fabrication of appliances used in both general dentistry and orthodontic treatment. 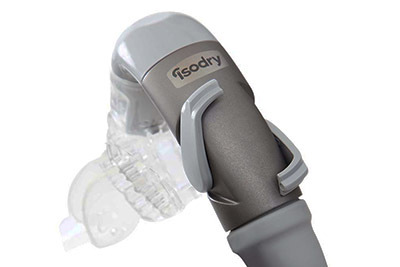 Isodry is an excellent alternative to a traditional suction system. Automated to ensure maximum comfort for patients, this technology allows fillings to be placed under ideal conditions to ensure quality and longevity. In addition, Isodry can be utilised with a range of other dental treatments such as hygiene and oral surgery. The net result: better, more consistent and more efficient results. Invisalign is an innovative orthodontic technology used to straighten teeth without traditional metal braces. A series of clear, almost invisible aligners is individually designed and manufactured to straighten your teeth over time. These aligners can be used to treat a wide range of orthodontic issues such as crooked, crowded or spaced teeth and more complex problems as well. 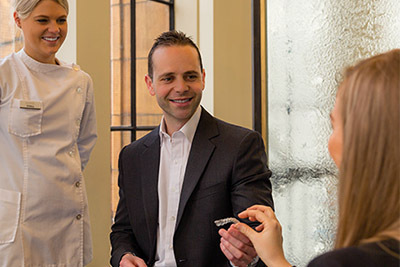 As Australia’s largest provider of Invisalign by Dental Board–registered orthodontists, Smile Solutions has been accredited with Blue Diamond provider status – reflecting our unsurpassed experience and expertise in Invisalign. You can have a bright white smile in less than two hours with our in-chair whitening treatment. 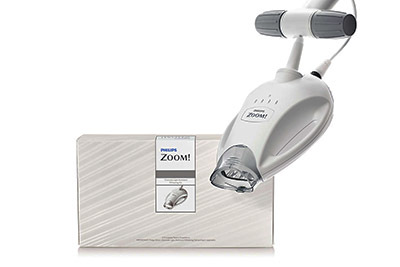 With over 20 years of whitening experience and acknowledged as the largest provider of Zoom! Teeth Whitening in Australia, Smile Solutions is the home of in-chair teeth whitening. The Philips Zoom! system that we offer is administered and monitored by a qualified dentist or hygienist with the use of safe, TGA-approved light-activated gel and LED light. For home use, Smile Solutions exclusively provides Poladay (9.5% hydrogen peroxide) and Polanight (16% carbamide peroxide) products. With daily application of a gel in custom-made trays, you will have brighter, whiter teeth within two weeks. Both of these preparations contain fluoride, which strengthens the tooth surface to protect against sensitivity. You can whiten your teeth at home either while you sleep (using the Polanight system) or for half an hour per day (using the Poladay system). 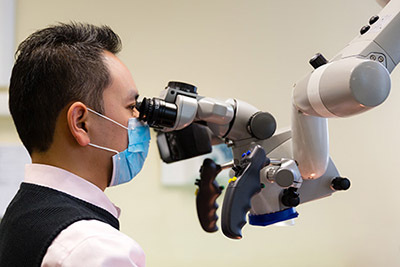 An important development in the success of root canal treatment, as well as other dental procedures, is the use of high-powered microscopes with multiple magnification settings. 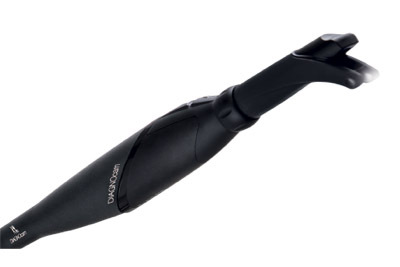 Technologically superior and sleek in design, they improve the speed and accuracy of diagnoses ranging from any abnormal anatomy (such as any extra root canals) to early detection of any fracture lines. Using this technology, your Smile Solutions dentist can view the inside of a tooth and root canal system at a magnification of up to 20x, with added illumination. This is useful, as the internal structure of a tooth can be complicated and unable to be seen with the naked eye or by wearing any glasses using standard magnification. Within the lenses of these microscopes is an integrated fibre-optic light, which eliminates shadows and thus gives your dentist a clear picture while performing your dental treatment. You are therefore assured of optimal treatment with a high success rate. The DIAGNOcam utilises Digital Imaging Fibre-Optic Trans-Illumination (DIFOTI) to assist in detecting decay and cracks in teeth and to illuminate a tooth under treatment. 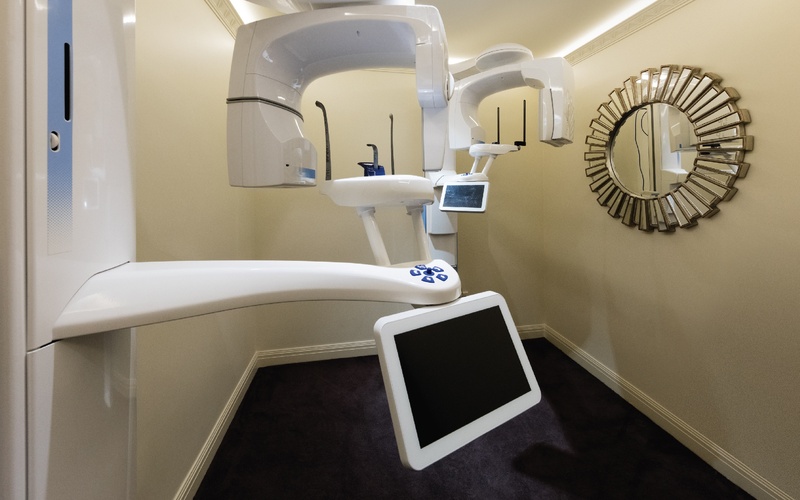 Used in conjunction with a general check-up and dental X-rays, the DIAGNOcam allows your clinician to diagnose and show you pictures of decay or cracks during your appointment. 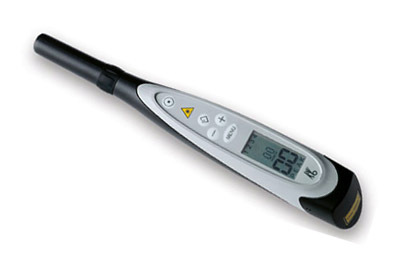 The KaVo DIAGNOdent uses laser fluorescence technology to detect decay. In addition to a visual examination and X-rays, the DIAGNOdent works quickly and reliably to aid decay detection in areas that are difficult to examine. Carestream is an intraoral camera offering you a clear and detailed image of your teeth and gums. These cameras act as a communication tool, allowing your dentist to show you visual evidence of a range of dental conditions such as plaque build-up, decay and cracks, as well as restorative work such as fillings and crowns/bridges. Seeing photos of teeth and gums brings the mouth to life, facilitating discussion and understanding. Smile Solutions clinicians use a range of lasers suited to soft and hard tissue treatments ranging from gum conditions to removal of decay – for example, to alter the shape of the gums in order to place fillings in an ideal oral environment, improving the longevity and quality of the restoration. We have a variety of lasers available, each specific to a particular type of treatment. 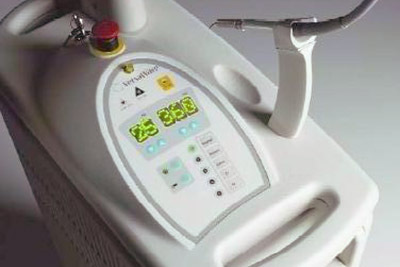 Your Smile Solutions dentist will choose the most suitable laser for your dental requirements. Pre-treating the surface of a tooth with air abrasion allows for optimal placement of fillings, crowns and bridges. It utilises aluminium oxide particles to clean and treat the outer layer of the tooth. This allows for superior bonding and greater longevity of restorations. Studies indicate that it can give the restoration greater ‘staying power’. 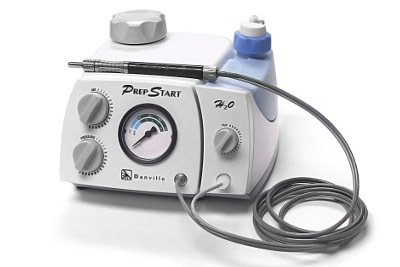 Painless and safe, air abrasion can also be used on teeth with early decay as an alternative to drilling when fissure sealants are being placed. The Prophyflex is the ultimate piece of equipment for fast and pain-free removal of plaque and stubborn stains from consumption of beverages such as coffee or tea or from smoking. Combining pressurised air with powder and water, it removes stains safely and efficiently. 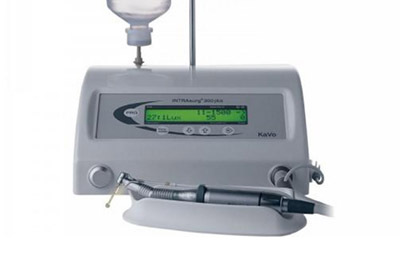 Gentle yet effective, the KaVo Prophyflex is utilised at the end of a cleaning appointment by the hygienist or dentist to address any residual staining unable to be removed by standard cleaning equipment. 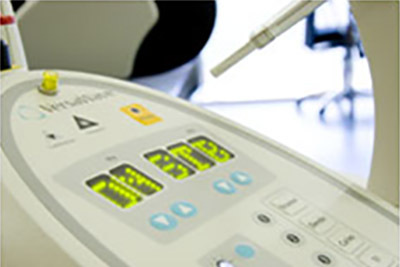 VersaWave Dental Laser is the industry’s best-engineered and most reliable fibre-delivered laser. Patients experience fast, comfortable and highly effective treatments for their teeth, bone, gums or any other soft tissues. It has found its application in the fields of general dentistry, endodontics, periodontics, prosthodontics as well as paediatric dentistry. Examples include contouring of bone, removal of diseased soft tissue from gum pockets and a variety of other dental procedures. 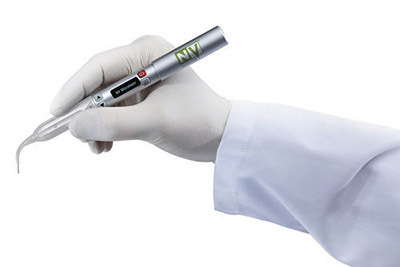 The NV Laser delivers, in a pen-sized package, the full power and capabilities of much larger desktop soft-tissue lasers. 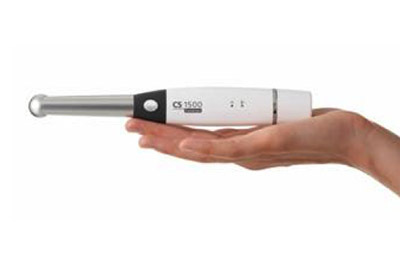 With its innovative, wireless handheld design engineered to deliver laser energy in either a continuous wave or pulsed model, it can be used for oral soft-tissue surgery, including removal of diseased fibrous tissue and lesion removal. In addition, it may be used for periodontal procedures, such as removal of diseased, infected, inflamed or necrosed soft tissue within the gum pocket; or removal of highly inflamed tissue affected by bacterial penetration of the pocket lining. INTRAsurg 300 is an ideal surgical unit for implant-related procedures and periodontal treatment, as well as oral & maxillofacial surgery. It can be used with any implant system and offers detailed viewing and visibility during the most challenging surgical procedures. 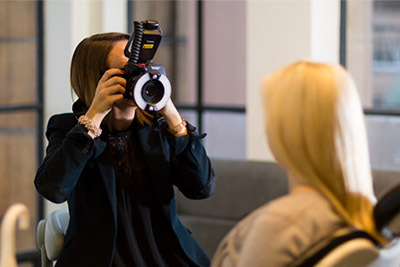 The latest digital single-lens reflex (SLR) cameras enable clinicians to take high-quality photographs for treatment planning, particularly for each stage of a cosmetic treatment. These images form part of a patient’s medical record while also serving as an excellent visual aid, capturing the transformation journey from start to finish. We use the latest techniques to minimise pain when administering anaesthesia to teeth and gums. 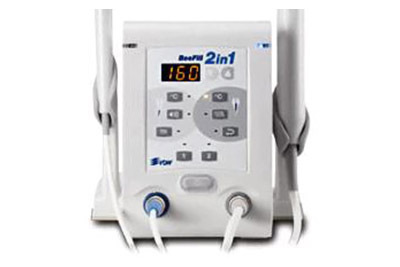 DentalVibe is an automated computer system that controls the administration of anaesthetic and significantly reduces discomfort. It provides gentle vibration to the site of the dental injection so that you don’t register the pain or discomfort from the injection. The sound of the vibration provides an added distraction to reduce any anxiety associated with the dental procedure. Oraqix is an injection-free means of providing rapid numbing. It is often used for a comfortable dental clean on patients with sensitive gums. It works for a short period, meaning patients are not left numb for hours after their clean. 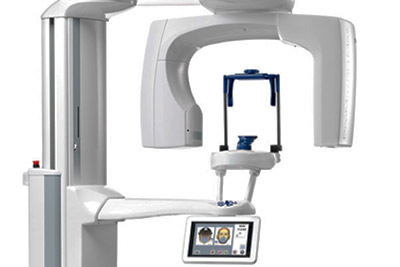 Smile Solutions uses digital radiographs to ensure safer, lower radiation than from conventional X-rays. These radiographs offer the convenience of high-quality images that can be displayed on a computer screen for your reference. Our clinicians can also take smaller X-rays in the chair, producing quick and convenient results. To prevent the spread of any infection in dentistry, it is imperative to uphold government standards of sterilisation. 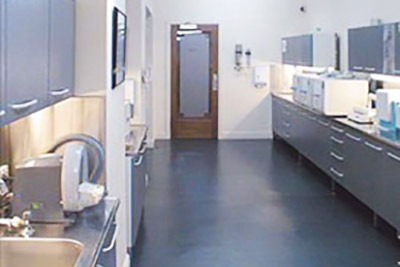 Smile Solutions boasts 9 Mocom sterilisers, 5 Statim hand-piece sterilisers and 4 ultrasonic baths to meet the sterilisation needs of the practice. In addition, all dental assistants receive regular, ongoing training to ensure that professional standards are always maintained. This, in turn, gives our patients the peace of mind that comes from having all equipment continuously sterilised to professional standards. We understand that children can require a little extra entertainment or a degree of distraction when they visit the dentist, so we offer iPads uploaded with a variety of movies and games for your child’s amusement. This also helps take the edge off any anxiety they may have before seeing the dentist. Television screens and music are available in all our dental suites for your comfort. Relax to your choice of music or enjoy watching a movie while we cater to your dental needs.